Askari, M., Gorjipour, F., Sharifi, Z., Farajollahi, M. (2012). Cloning, expression, purification and immunoreactivity analysis of gag derived protein p17 from HIV-1 CRF35 in fusion with thioredoxin from human subjects. Iranian Journal of Biotechnology, 10(4), 249-254. Mohammad Askari; Fazel Gorjipour; Zohreh Sharifi; Mohammad Morad Farajollahi. "Cloning, expression, purification and immunoreactivity analysis of gag derived protein p17 from HIV-1 CRF35 in fusion with thioredoxin from human subjects". 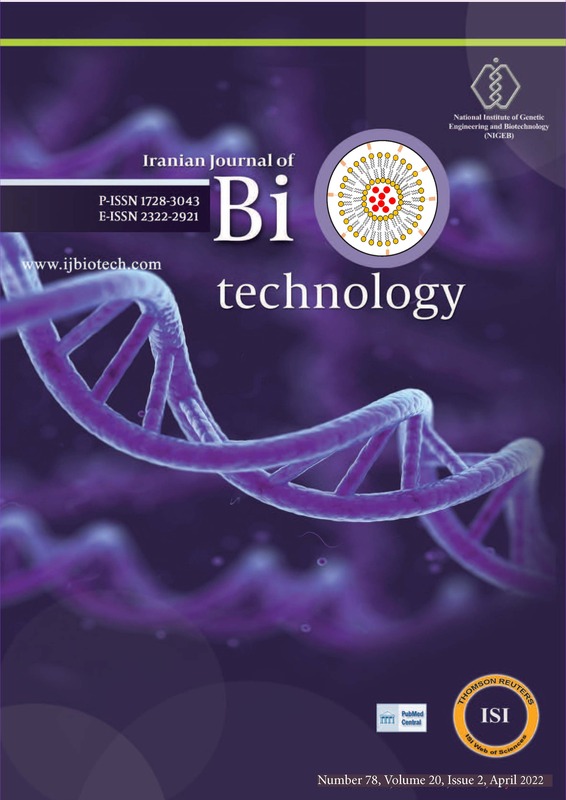 Iranian Journal of Biotechnology, 10, 4, 2012, 249-254. Askari, M., Gorjipour, F., Sharifi, Z., Farajollahi, M. (2012). 'Cloning, expression, purification and immunoreactivity analysis of gag derived protein p17 from HIV-1 CRF35 in fusion with thioredoxin from human subjects', Iranian Journal of Biotechnology, 10(4), pp. 249-254. Askari, M., Gorjipour, F., Sharifi, Z., Farajollahi, M. Cloning, expression, purification and immunoreactivity analysis of gag derived protein p17 from HIV-1 CRF35 in fusion with thioredoxin from human subjects. Iranian Journal of Biotechnology, 2012; 10(4): 249-254. 1Department of Medical Biotechnology, Faculty of Allied Medical Sciences, Tehran University of Medical Sciences, P.O. Box 1449614535, Tehran, I.R. Iran. 2HIV Molecular Research Laboratory, Division f Virology, Department of Pathobiology, School of Public Health and Health Research Institute, Tehran University of Medical Sciences, P.O. Box 19395-5731, Tehran, I.R. Iran. 3Blood Transfusion Research Center, Institute for Research and Education in Transfusion Medicine, P.O. Box 14665-1157, Tehran, I.R. Iran. recombinant p17 to sera from infected individuals showed 93.8% sensitivity and 100% specificity.